It just got easier to teach shapes, sizes and relationships with these colorful, plastic geometric pieces. 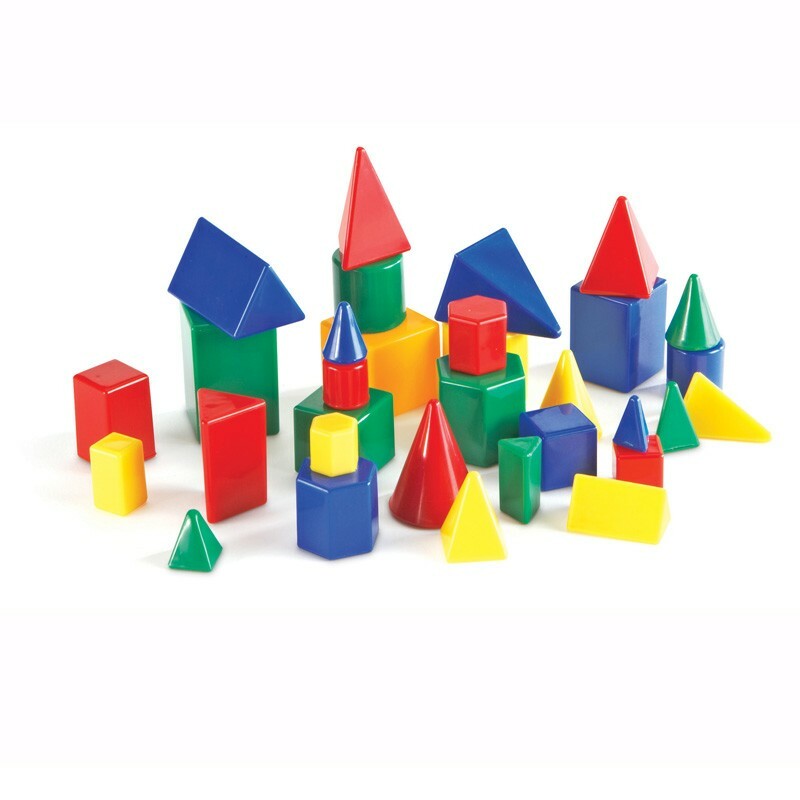 Set of 32 includes 4 sizes of 8 shapes: triangular prism, cube, cone, cylinder, rectangular prism, hexagonal prism, triangular pyramid and square pyramid. Perfect for individual or small group use, each shape measures from 1/2" to 13/4". Includes Teaching Guide.